Did you make a resolution for the new year? This year, I want to get healthy. That means exercising regularly, eating healthier, and losing weight. Even though I'm in my early 30s, heart problems run in my family. I need to start taking steps to get healthy sooner rather than later. In addition to making changes in my activity level and eating habits, I'll be changing my morning routine so I have more energy each day. 1. Set attainable goals and track them. I could say that I'm going to eat all organic, low-fat, and high fiber food at every single meal and work out for an hour a day to achieve my goal, but I know myself better than that. That might last all of three days before I feel defeated and give up. Instead, I'm going to set goals that I can reach. I'm going to take in to consideration my current health status and lifestyle. I wish I had an hour a day to work out, but I do not. I do think that I have 30 minutes three times a week though. I could never, ever give up pizza forever. But I do think that I could limit it to once or twice a month and not feel deprived. I could also eat a healthy salad before I eat pizza so I eat less pizza when I do eat it. I'm keeping track of my healthy living goals in my personal planner. 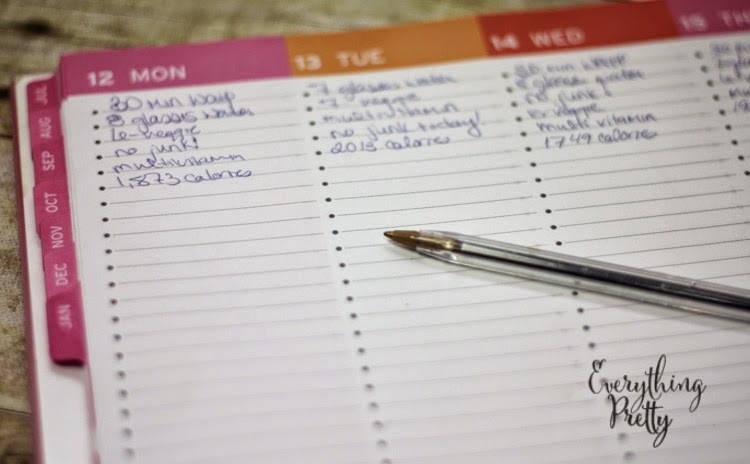 I don't use the daily part of my planner, so I'm keeping notes like how long I worked out, how much water I drank, number of servings of vegetables, and small wins like not eating any junk food that day. My goal for this year is to exercise three times a week for 30 minutes at each session. I have joint pain, so running or jogging isn't a good idea. Gyms are very expensive here, and I don't think I would make the effort if I had to go somewhere to exercise. I've been a big fan of indoor walking for years now, so I picked up a new DVD at Target. I also found some hand weights to help me get a better workout in the same amount of time. I'm all for getting a more intense workout without spending more time working out. After talking to my doctor, I decided to limit bad fats and simple carbs and increase complex carbs and good fats while I watch calories. I'm not a big snacker, so eliminating junk for snacks isn't a problem at all. When I do need a snack, I grab fresh fruit, low-fat string cheese, or some of my home canned fruit from our orchard. I'm also going to increase the amount of vegetables I eat, which is why I'm so glad I discovered V8 Veggie Blends at Target. I don't hate vegetables, but I don't get enough of them either. I love that I can drink my veggies at breakfast, so I can sneak in an extra serving of vegetables each day. A serving of vegetables is 1/2 a cup, and there's a full serving of vegetables in each 8-ounce glass. There's no added sugar, and each 8-ounce serving has 60 calories or less. I really like Purple Power, which contains juice from purple carrots, beets, and apples. I am not normally a breakfast eater. By the time I make the kids breakfast and get them off to school, I am ready to start working. This is very unhealthy because it means it will be about 16 hours between meals. That's way too long for my body to function properly! Breakfast literally means to break the night time fast. It's so important to boost your metabolism and increase your energy. 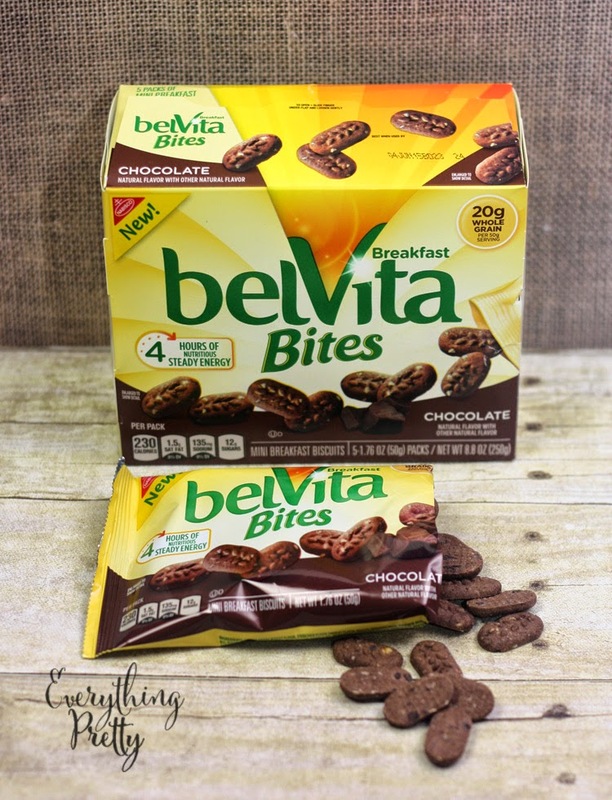 I found BelVita Bites at Target, and I love that they are ready to eat without any prep work or dirty dishes! They are available in mixed berry and chocolate. Chocolate for a healthy breakfast? Yes, please! Your body needs carbohydrates for energy. Simple carbs like those from sugar and white flour give you a short burst of energy before you crash again. Complex carbs give you a smaller boost of energy, but that energy boost will last much longer. BelVita bites contain good carbs from wholesome grains, so they give me a 4 hour energy boost. 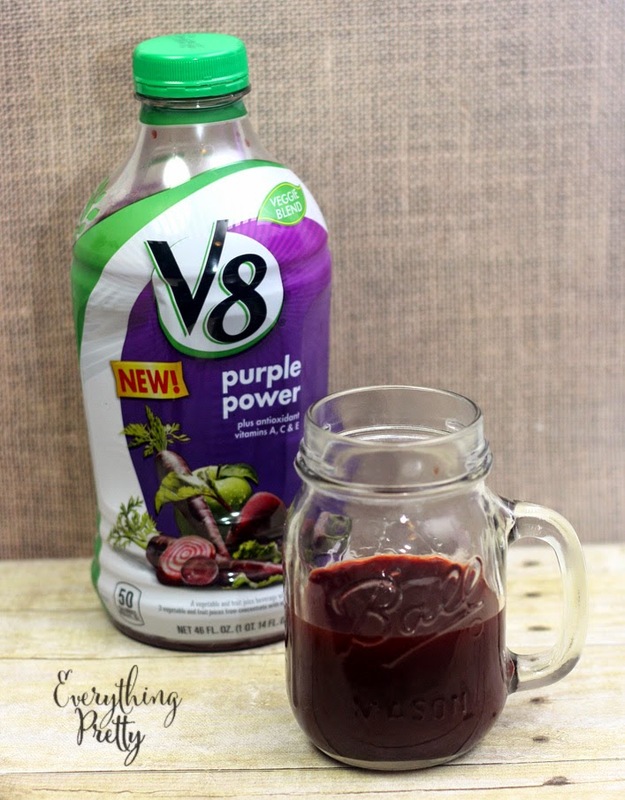 Paired with V8 Purple Power juice drink, they make a yummy, easy, and healthy breakfast. 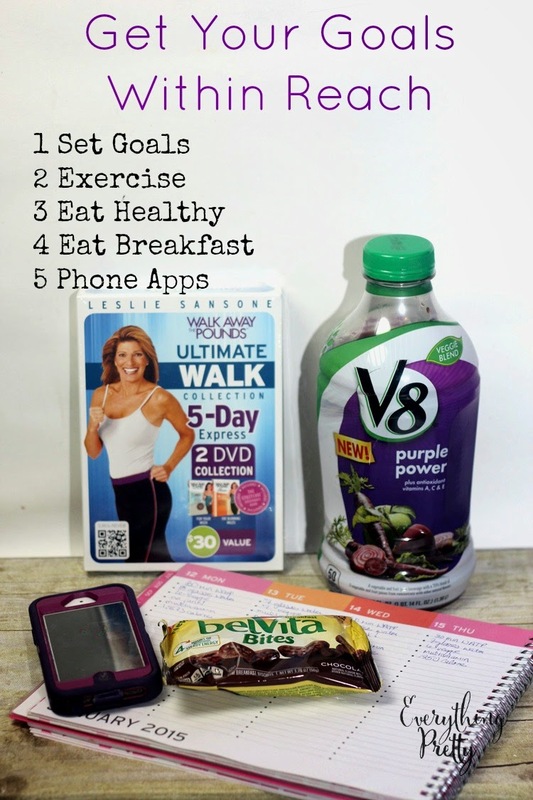 There are so many apps for weight loss available for iOS and Android. I have one that lets me enter in how many calories I eat and my exercise for the day. I can set weight loss goals, and it tells me how close I am to my goals. I'm a few weeks in to my new routine, and I love it! Since I set goals that challenge me but still work with my lifestyle, I'm seeing some real progress. Eating a healthy breakfast gives me so much more energy during the morning, and working out gives me a boost in the afternoon. Would you like to more about how V8 Veggie Blends and BelVita Bites can help you boost your morning energy? Head to Target on January 24, 2015 for a sampling event. 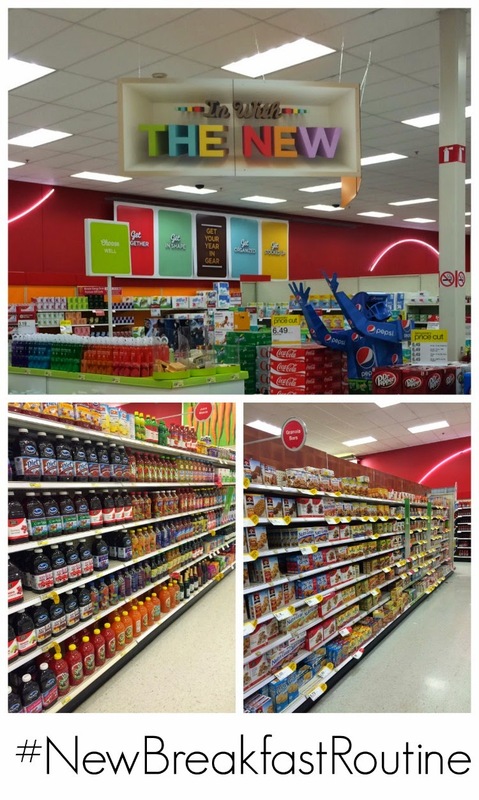 Save on V8 and BelVita with Cartwheel from Target! Save on BelVita until January 31, 2015. Save on V8 starting February 23, 2015. Save on V8 starting January 25, 2015. What are your goals for 2015? Cari lives on a small farm in Ohio with her husband, three kids, two dogs, two cats, five goats, several chickens, and homing pigeons. She loves Gilmore Girls, coffee, and her kids. Not in that order. How to Tighten Skin Under Eyes - Naturally! All recipes, tips, and advice found on this blog are not meant to cure or treat any disease or condition. Always do your own research and ask your doctor for medical advice. I am not a doctor or other medical professional. This blog does not claim any responsibility for any product, recipe, or company discussed on this site. This blog was created for entertainment purposes only. Everything Pretty is a participant in the Amazon Services LLC Associates Program, an affiliate advertising program designed to provide a means for sites to earn advertising fees by advertising and linking to amazon.com.